5. Jano, Johnny Rock Me Baby [vers. 1] [unissued] uniss. 6. Jano, Johnny Oh Baby [vers. 1] [unissued] uniss. 7. Jano, Johnny High Voltage [unissued] uniss. 9. Jano, Johnny Rock Me Baby [vers. 2] [unissued] uniss. 10. Jano, Johnny You're The Only Girl [unissued] uniss. 11. Jano, Johnny Havin' A Whole Lot Of Fun [alt. vers.] [unissued] uniss. 12. Jano, Johnny Stop Look And Listen [unissued] uniss. 13. Jano, Johnny She's Mine [vers. 1] [unissued] uniss. 14. Jano, Johnny Have You Heard The Word [unissued] uniss. 15. Jano, Johnny Havin' A Whole Lot Of Fun [alt. vers. 2] [unissued] uniss. 16. Jano, Johnny I'd Make A Good Man For You [alt. vers.] [unissued] uniss. 17. Jano, Johnny She's My Baby [vers. 1] [unissued] uniss. 18. Jano, Johnny Some Other Time [unissued] uniss. 19. Jano, Johnny Oh Baby [vers. 2] [unissued] uniss. 20. 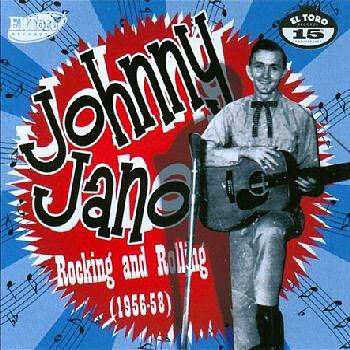 Jano, Johnny Rock And Roll Baby [unissued] uniss. 21. Jano, Johnny She's My Baby [vers. 2] [unissued] uniss.